Windows 3.1 3D Desktop Animator. AnimDsk is a windows 3.1 3D desktop animator, that is script based. you continue to work. The scripts and 3D objects can be changed by the user. BOX .3D2 - A 3D Box. PYR .3D2 - A 3D Pyramid. PROP .3D2 - A 3D Prop. 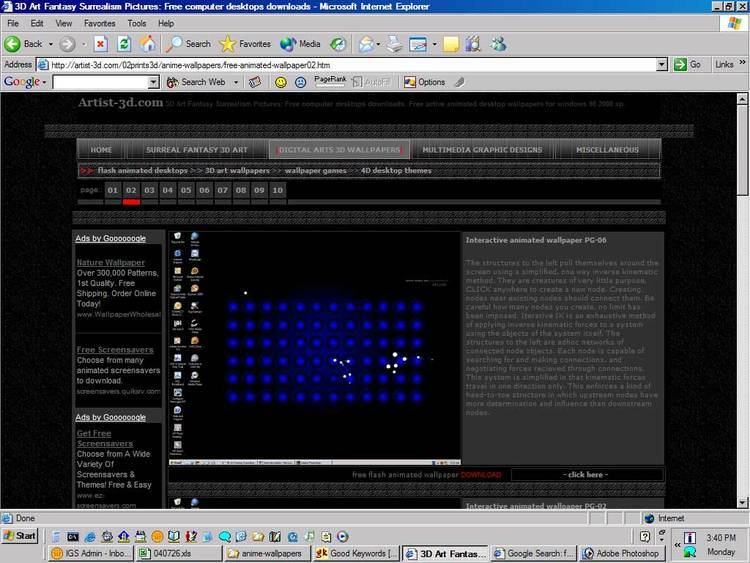 ANIMDSK .EXE - The 3D Desktop animator. ANIMDSK .DOC - This File. ANIMDSK .M3D - Demo Free Animation Script. ANIMDSK .INI - Demo initialization file. ANIMDSK .REG - How to create scripts and objects yourself. File|Run command of the program manager to start animdsk. or inconveniences caused by the use, or inability to use this package. The use of the package is at your own risk. By using (or attempting to use) the package you agree to this. The 3D Desktop Animator is free to use, and share. file - list section above. ANIMDSK.REG file for more information about this option. AnimDsk is a Copyright (c) 1993,94 HyperAct Inc. Please consult the ANIMDSK.REG file for additional details.